The Gate City Series kicks off 2010 with an impressive first! Falconry: Ancient and Modern usages, by Alan Colussy, will be presented in the South Lodge of the Atlanta Masonic Temple. 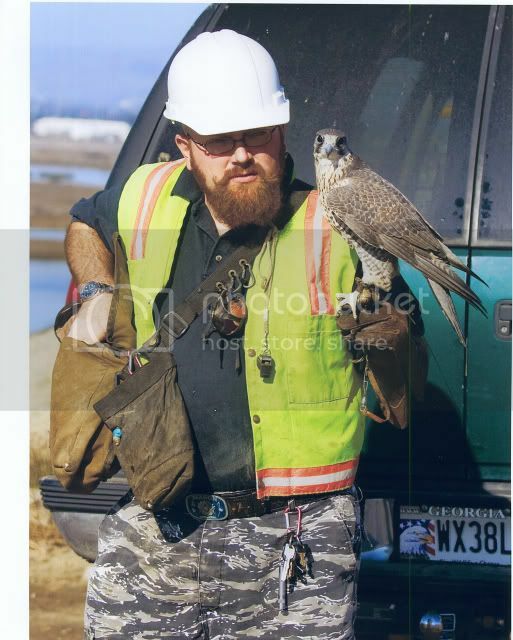 Alan will have five of his trained Falcon hybrids with him as he discusses this fascinating topic. 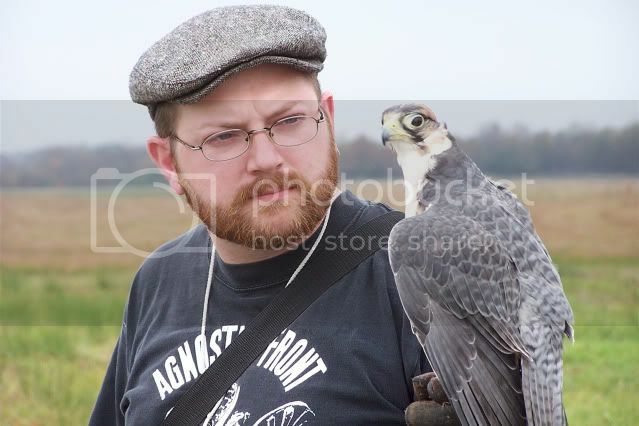 Alan's profession is Falconry. He has studied the art for over twenty years. Among the many topics regarding the subject will be origins, hunting with birds of prey, and modern applications such as airport contracts for diverting the flight patterns of nuisance birds such as pigeons. If you've never seen one of these raptors up close, now is your chance. Alan will have extra gloves on hand as well as a camera and tripod if you would like to take a picture with one of these magnificent birds. The Dinner starts at 6:30PM, is $7 and will be - what else - Fried Chicken, Mashed Potatoes and Collared Greens. Our presentation starts at 7:30PM.